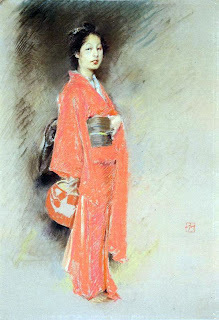 Robert Frederick Blum was a leading American painter, etcher and illustrator of the late nineteenth century. After finishing his studies, he moved to Munich, Germany where he lived and worked for a year. 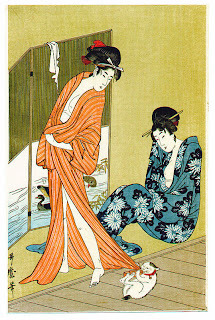 Arriving back in New York City in 1879, Blum established a studio, and before long developed a reputation as a major illustrator; his piece on the right is called 'a Japanese daughter,' and was on the cover of Scribners magazine, one of the first American illustrations to be printed in color. Commissioned by various publications, Blum traveled and worked in England, Italy, Spain, France, Holland, Belgium and Japan. He was, in fact, one of the first Americans to visit Japan and the work he produced there from 1890 to 1892 established his reputation. 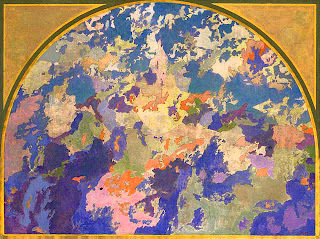 For Augustus Vincent Tack, perhaps more than and other artist, The Phillips Collection [of American Art] is both spiritual home and permanent memorial. Tack's personal history is inextricably linked with that of the museum and its founder. He counseled Duncan Phillips on purchases and participated in the administration and decoration of the collector’s fledgling museum. With characteristic independence, Phillips purchased and commissioned many works by Tack, quickly becoming his foremost patron. In 1914, Phillips recorded in his journal his first reaction to Tack’s work when he stated, "my earliest acquaintance with the landscapes of Augustus Tack was one of those experiences which mark an epoch in one's own mental development.... some small panel-shaped canvasses--made me more or less catch my breath with delight." 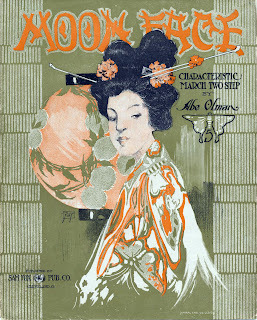 to mention some old and new japonisme occurrences on the web. i recently bemoaned the fact that i didn't read japanese, and this week it's russian i don't read and wish i did. but as carrie said, pictures aren't in russian. so no matter what languages you speak, check out her blog, and really funny lady's too for some surprising beauties. and princess haiku has posted a wondrous assortment of japanese chrysanthemum stamps. 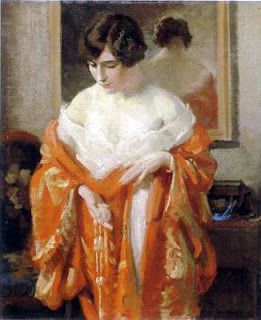 the image above, with the woman with her back showing in the mirror (i was going to say 'the woman in the orange kimono') is by american impressionist frank h desch. the sheet music is illustrated by 'ray,' yet another mystery illustrator. 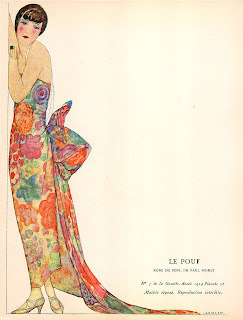 the japanese print with the kitty is from utamaro kitagawa, and lastly, another poiret (don't know who designed the fabric) painted by a e marty. 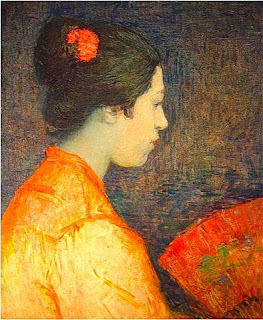 The translucent shadings of orange in many of these photos are lovely; not a color I have lived in myself but very appealing in this artwork. Hope you are well and see that your blog is doing great. Wonderful posts!!!! Super inspired! great notes too! you know, i don't like orange that much either, but was somehow drawn to this selection. thanks, princess. r.dress : thanks!!! i am so glad you visited and said so!